Despite being unable to fulfill his dream of playing basketball in the NBA, former Baylor University star Isaiah Austin says God has blessed him with an opportunity for something greater — sharing His Word. 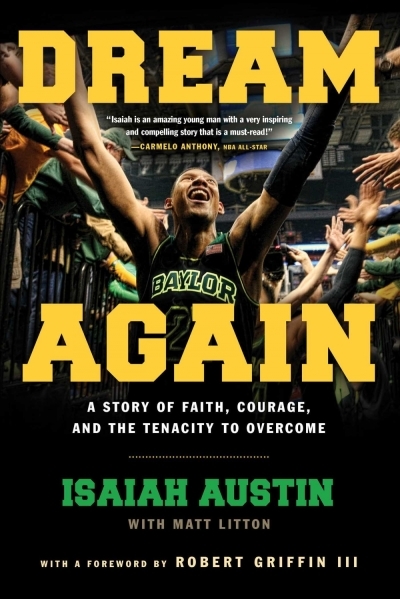 Isaiah Austin is the author of the new book, Dream Again: A Story of Faith, Courage, and the Tenacity to Overcome. Isaiah has an incredible story. He played basketball at Baylor University and was considered a first-round prospect in the 2014 NBA draft until diagnosed with Marfan Syndrome (a rare genetic disorder) just five days before the draft. This meant he could no longer play basketball at a competitive level because of major heart concerns. During the 2014 draft, Commissioner Adam Silver made Austin a ceremonial pick, which fulfilled his dream of getting drafted. Isaiah recently joined Christian Post contributor Bryce Johnson on the syndicated UNPACKIN' it radio show to talk about his faith and his inspiring story. Cover art for "Dream Again: A Story of Faith, Courage, and the Tenacity to Overcome," by Isaiah Austin, 2015. Bryce: What was your life like growing up and how important was basketball to you when you were young? Isaiah: I was just a young kid with a dream. I grew up in a privileged household. My mom and my dad professed to keep a strong faith in my life and that's what I grew up knowing. I grew up going to church, studying my Bible, and learning to trust God's plan for my life. As I was growing up, my parents surrounded me with basketball and let me have the privilege of being able to play, and I started getting good. I wanted my dream to become an NBA player to come true, so I worked day in and day out for it. Bryce: So you always worked very hard. Even before being diagnosed with Marfan Syndrome you played basketball, despite being blind in your right eye from an injury you sustained in Middle School. How did dealing with the blindness in your right eye affect your faith? Isaiah: It affected my faith a lot. I really questioned God at times and I didn't understand what His plan for me was exactly. The whole time I thought He wanted me to be this huge basketball star, and to not go through any problems, and basically have an easy walk in the NBA...be rich and famous. But it really wasn't what His plan for me. It's one thing to have faith in God, but it's another thing to really sit back and trust His plan for your life. Bryce: So you trust His plan and that leads you to receiving a college scholarship from Baylor University. The first two years you play great, and then you get the opportunity to leave college, turn pro, things are going well, teams are giving you positive feedback, you're expected to be a first-round draft pick, and then you get the devastating news that you have Marfan Syndrome. In this moment of realization, what did that do to your faith? Isaiah: It definitely made me stronger in my faith because I know that God wants me to share His Word with everybody in the world. He wants me to share my testimony and to be able to bring people closer to Him. Going through all of this made me realize all of the lives I can touch. I can't tell you how many people have sent me emails or tweeted at me or commented on my Instagram pictures telling me that they've prayed for me and telling me how much I've inspired them to change their lives in a positive direction. So God has really blessed me with that ability to be able to connect with people around the world. That is the main thing that has brought me so much closer to Him. I feel like I'm doing the work that He wants me to do. Bryce: You talk about growing and understanding God's bigger picture in this whole situation, and your willingness to inspire other people. What are some additional messages you are trying to encourage others with? Isaiah: I know that a lot of sports people are going to look up to me because I played basketball, and because I had a tough story, but I've been through the days like everybody who wakes up thinking they just want to give up and don't want to get out of bed. They just want to quit, and it feels like the weight of the world is beating down their shoulders and people are all in their ears telling them this and telling them that. I've been through all of that, so I feel like I have that connection with each and every person on this earth, and can tell them that there is a way out and there is always a light at the end of the tunnel…no matter how dark it seems. It's just a matter of whether you're going to keep walking forward and trusting in God's plan...that He's going to clear the pathway for you. That's really what it all boils down to. Bryce: Right before the draft you went through all the combines and workouts, and that's where they recognized that you needed to be tested for Marfan Syndrome. Being diagnosed with it saved your life. What was the amazing aspect of that part of the story? Isaiah: It definitely did save my life. I will have to have open heart surgery in a couple of years because my heart is enlarged. I'm glad I was diagnosed. If I had to go back and change anything about it, I definitely would not. Bryce: What an amazing story of faith and determination. It's sad and disappointing, but the way you have responded is truly inspiring! Isaiah, thanks so much for joining us and I encourage everyone to check out your new book, Dream Again: A Story of Faith, Courage, and the Tenacity to Overcome. 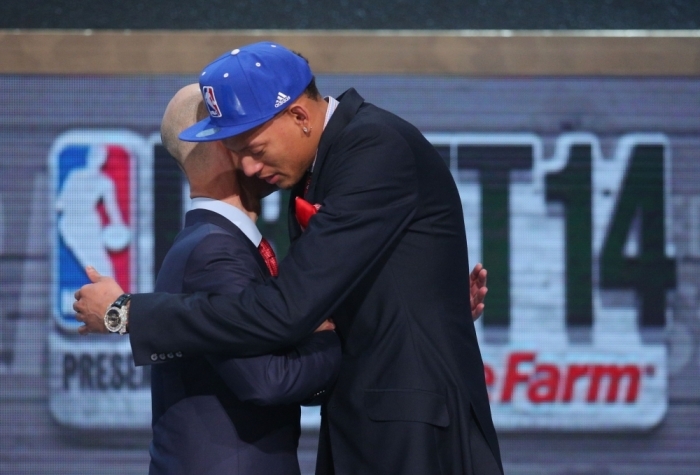 You can listen to the podcast of the full UNPACKIN' it interview here: Isaiah Austin. Bryce Johnson is the host of the nationally syndicated sports and faith radio show UNPACKIN' it and is the president of UNPACKIN' it Ministries. Their mission is to challenge, inspire, and encourage sports fans to follow Jesus and become more like Him.